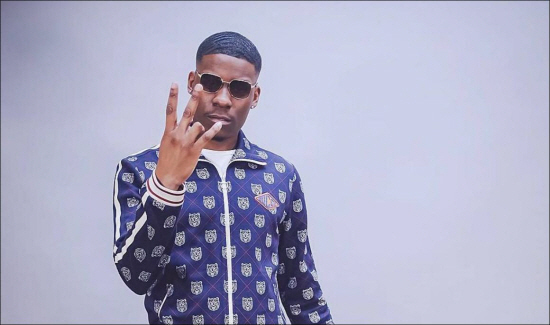 Yes, it’s history, and at last Coventry has a new chart star in the form of rapper Jay1, whose single ‘Your Mrs’ entered the top 40 at number 19, having been at 22 in the midweek chart. Jay1, originally from London, moved to Coventry and has already had massive interest from previous releases including ‘That’s My Bae’, ‘Good Vibes’ and ‘Becky’. He’s a breath of fresh air, and bucks the usual trend of moving out of Cov and down to London. So good for you Jay1, who also surprised everyone by revealing that his inspirations were Ed Sheeran and Sam Smith and describes his genre as UK Rap, but is happy to switch to Grime. On a personal note, it’s so exciting to have a new Coventry star on the charts. Jay1 will take up his place in the Coventry Music Museum, and I do hope on the museum’s top 10 Wall of Hits. Big love to the Joneses, who like a lot of families face the battle with cancer. Jay Jones is a gifted musician and was once the keyboard player in Roddy Byers’ Skabilly Rebels. Above all, he’s a lovely guy who is a doting husband and father. His beautiful wife Shell is currently giving cancer a run for its money having just started chemotherapy. The battle is on, and the family face it together, but by no means alone. They have been telling Shell’s story on their own Facebook page blog ‘Keeping Up With The Joneses’, where family and friends and supporters can keep up to date with highs and lows of a loving family that has a big ugly fight on its hands. One touching video on their site is a beautiful song ‘Im OK’ from Kayleigh Jones and her best friend Emily. Dedicated to Shell, it’s so touching and you can’t help be moved. Like everything else this family do, there is always a fun side, and that’s the blooper roll, proving laughter is the best medicine for sure. On May 10 at The Standard Triumph Club, Herald Avenue, there is to be a fundraising concert for the family, entitled (you guessed it) ‘Keeping up with The Joneses’.